Southern Nevada’s economy, in general, has also been doing well. Nevada has come from the bottom in 2011, as far as job creation, to the no. 1 spot in 2016, according to a Gallup poll. Also, according to a press release from Nevada’s Department of Employment, Training and Rehabilitation, the state has surpassed the number of jobs lost during the recession. Since September 2010, the state has gained 195,000 jobs after losing 186,000 during the downturn. And unemployment was down to 5.8 percent for 2016 from 2015’s 6.7 percent average rate. But as the economy improves and the potential for new fields to come to life in Las Vegas, another sector is preparing for the next generation of jobs in the Las Vegas Valley: higher education. Several colleges and universities around Clark County are either helping fulfill current workforce gaps or are looking to the next chapter in the valley’s future generation of workers. Bart Patterson, president of Nevada State College, said the school was founded, in part, for nursing and education students — two areas Nevada has struggled to keep up with, as far as workforce numbers. In July 2016, the Clark County School District announced a shortage of about 370 teachers, following a shortage in the same time in 2015 of 1,000 teachers. At one point, CCSD was offering hiring bonuses and increased base pay to attract out-of-state teachers willing to teach in Clark County. “It’s obviously something that the state needs to address, so we are looking into substantially growing our education program,” Patterson said. NSC has “a budget proposal into the state that was approved by the Board or Regents, which includes a request for some funding related to expanding the education program: adding degrees in early childhood education; our first master’s in speech pathology, deaf studies, interpreting skills; and a growth in STEM teachers and secondary education,” he said. Nursing has a similar prognosis when it comes to fulfilling the number of needed workers. According to a 2012 study titled “United States Registered Nurse Workforce Report Card and Shortage Forecast,” Nevada will have the third-largest RN shortage ratio per 100,000 people in the country. The state will sit behind no. 1 New Mexico and Arizona, according to the study. Patterson said NSC is strong in graduating new nursing students. NSC is also helping bridge the gap in the needs of a trained workforce for companies like Faraday Future. One of those ways, Patterson said, is partnering with the College of Southern Nevada, which does a lot of technical training. Patterson said NSC has also started a similar partnership in the allied health fields, which include fields such as sonography and radiology, along with many others. Patterson sees the school’s engagement to fill any gaps now or in the future for Nevada’s workforce as more efficient and productive than out-of-state recruitment. 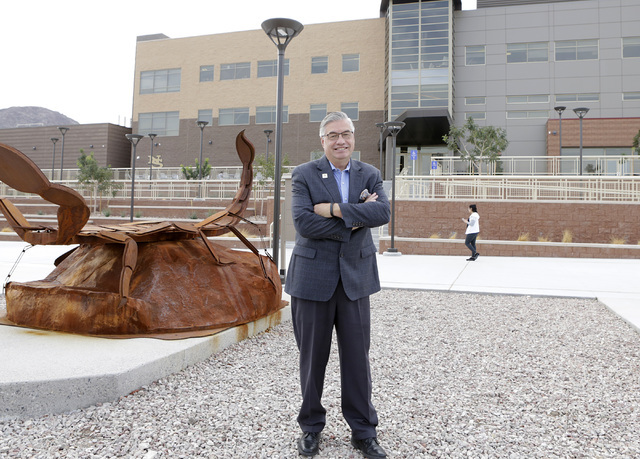 Western Governors University Nevada has seen growth across several of its programs, in IT, health care and its teacher’s program. The online-based school was originally set up by 19 governors, though it is spread across the U.S. today. “One of the reasons (the school was created) was to make higher education more accessible and affordable,” said WGU Nevada Chancellor Spencer Stewart. Having members of a community obtaining higher education or the right credentials can play a large role in how quickly the transformation of an area can take place, Stewart said. Currently, 35 percent of Nevada’s working-age population has a credential of value, versus the national average of 45 percent, Stewart said. The goal of many organizations, businesses and government is to get the number of working-age individuals across the country with some type of credential to 60 percent, Stewart said. To hit that number in Nevada, Stewart said, the state would have to continue its current graduation rates, graduating an additional 100,000 working-age individuals. “That’s a very sizeable figure,” Stewart said. The University of Nevada, Las Vegas’ engineering department is also working on programs that give students cutting-edge skills in technology, one of those being cybersecurity. 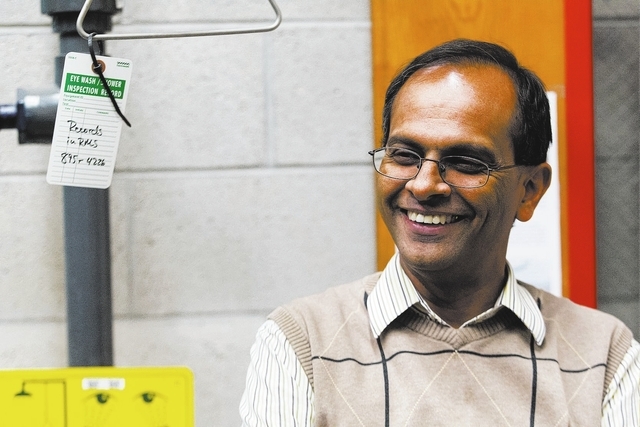 Rama Venkat, dean of UNLV’s college of engineering, said the school is working on creating a minor in cybersecurity. “What we heard from the industry on cybersecurity about eight or nine months ago is there are many opportunities in cybersecurity,” Venkat said. The demand is greater than supply at this point, according to Venkat, who said industries such as banking and gaming, along with other industries, can’t find enough students or professionals from the local region. It’s also difficult for these industries to attract professionals from outside the Las Vegas region, Venkat said. 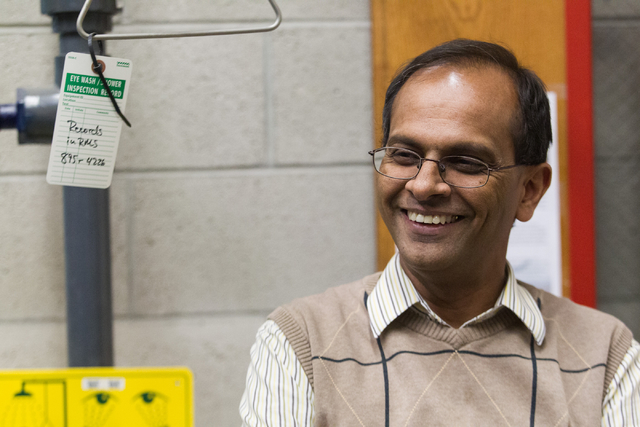 The growth of the many sectors in the Southern Nevada region is good, but Venkat said student involvement in business is also an important aspect for long-term growth of the region. Venkat explained that local graduates are more likely to stay in the region, and companies that are lured by tax incentives can pick up and leave at any time if a better deal comes along in another state. Graduation rates for the department have been on the rise, Venkat said. The department graduates about 200 undergraduates a year — a 50 percent increase from 10 years ago, he said.